Aerospace community certification specialist, AEROready™, asked Aha! Creative to build a brand and logo mark, and a website for their company. AEROready™ provides deep analysis of hundreds of site selection criteria to certify and validate a community, region, or site as ready for an aerospace industry. AEROready™ provided the data, analysis, and certification integral to Eastern Kentucky’s successful recruitment of the $1.3 billion Braidy Industries facility to the area. We are proud and honored to be a marketing partner to AEROready™. Congratulations on your fine work! "Aha! is an incredible, small creative firm with a big national reach. Experts at marketing strategy, social media & digital marketing, website design, and print design, Aha! Creative excels in brand development and placing the right message in the right place on the right platform. 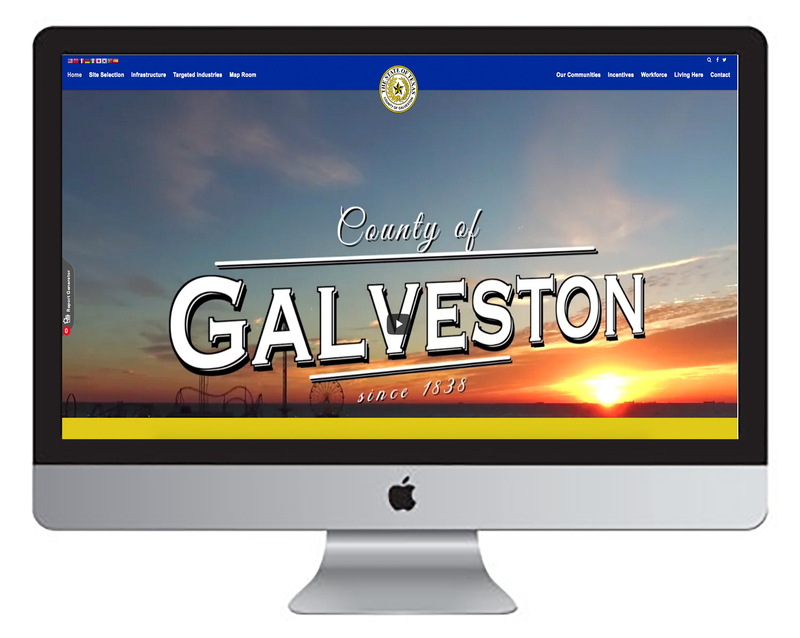 Delta Strong, Appalachian Sky, Galveston County TX, and AEROready™ are four recent economic development branding and website successes. Aha! Creative has played a huge role in the branding and marketing of my company, Common Sense Economic Development, LLC, and built the aeroready.us website. They provide extraordinary service." 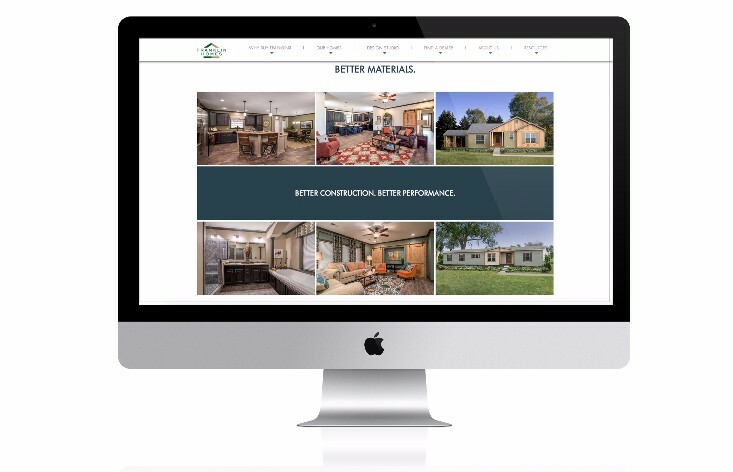 Build your new home on the Franklin Homes' website Design Studio. 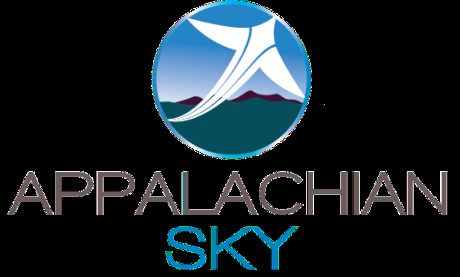 This tri-state regional entity selected us to provide branding, website, and print collateral promoting this economic development association focusing on the aerospace industry. This economic development project in conjunction with our other client, AEROready™ has played an integral role in bringing Braidy Industries into Eastern Kentucky, this $1.3 billion dollar aluminum mill and 500 jobs in Greenup County. 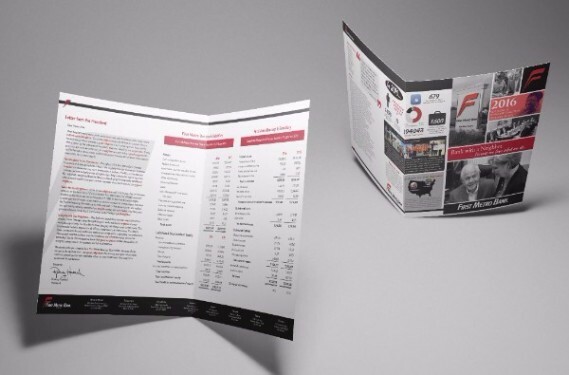 First Metro Bank's annual report is a great example of what Aha! does best in graphic design. Taking data, and a year's worth of amazing memories via images and making it a digestible table for stakeholders to understand, but still plenty of dynamic design that reminds customers what their bank does for them each day. Greenhill Monument & Countertops approached Aha! about branding for their company. 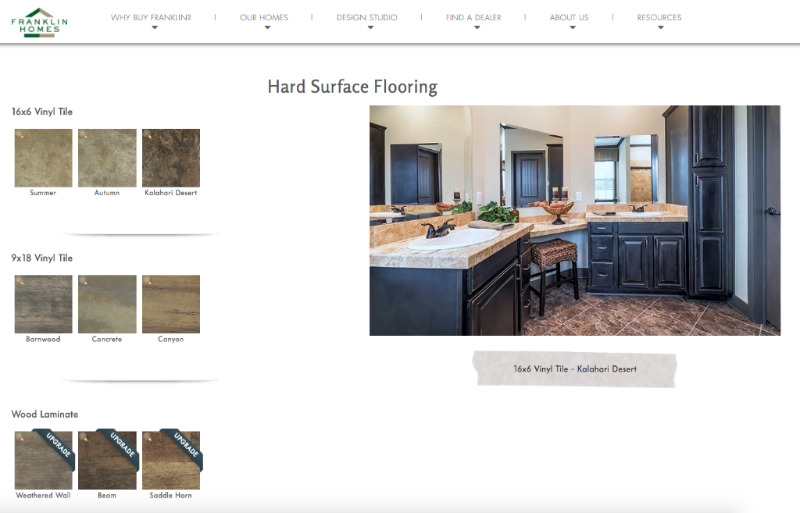 With no existing logo, they needed a look that could reflect the nature of their business. Formerly Florence Marble Works, the company wanted an identity that could be their own. Once complete, they turned to aha! 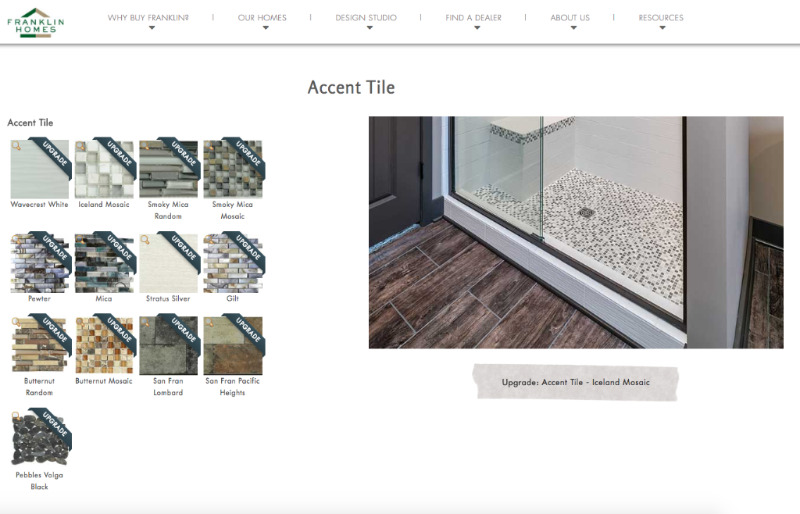 to create a website that features their beautiful work. 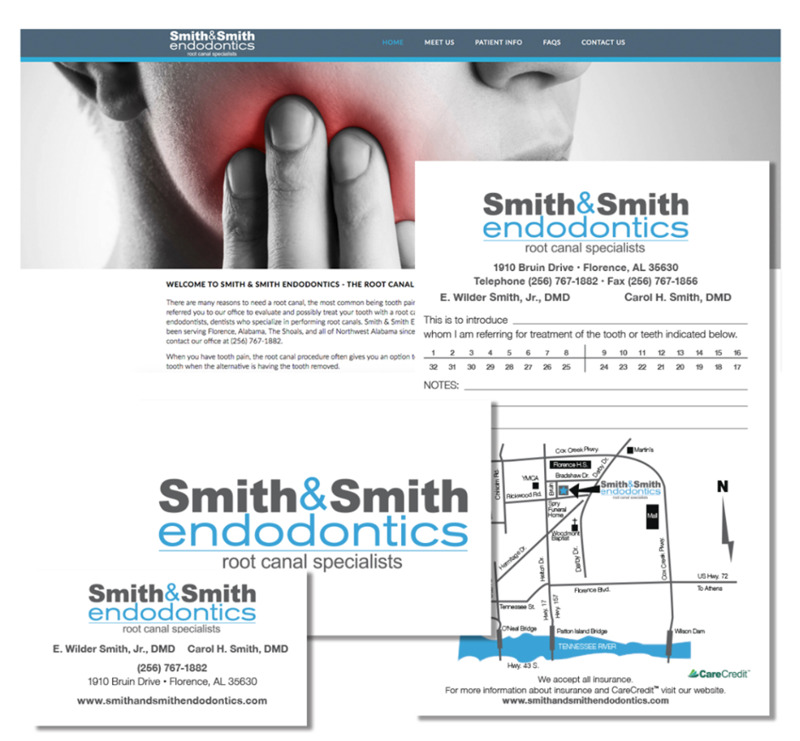 The rebranding of Smith & Smith endodontics involved not only a logo, but a new website, notecards, business cards and referral pads. The new look is uniform across all of their platforms.